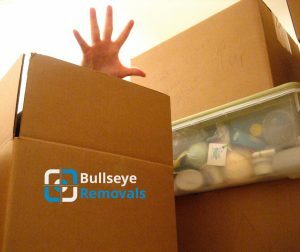 The more time you have to organise your removal, the less stressful it will be. If you have enough time to plan your relocation, you should start at least 2 months before the moving date. This way, you will have enough time to hire a reputable and trustworthy home removals company in London, pack your belongings, take care of utilities, change your address, etc. Even if you don’t have much time to spend on planning, make sure you use your it wisely and remember that organisation is the key because no removal can be successful without a proper plan of action. Create a moving checklist and write down all the tasks that need to be done. Even if you have it all planned and organised, unexpected situations can still occur during a removal and it is only natural. Remember to be flexible and to always have a backup plan. You will feel less stressed knowing you have alternatives. Before you start packing your items, it is best if you first declutter your home. You can feel stressed if you have so many items to pack and you just don’t know where to start. After you get rid of your junk and your unwanted items, you have fewer items to pack and that will make your move easier to carry out. There are also other benefits of decluttering, such as cutting moving expenses, for instance. Completing moving tasks all by yourself can be a mission impossible. You need to have somebody that will give you a hand with packing, sorting out items, or just providing you with emotional support. Ask your friends or family members to help you. They will be happy to be there for you in this hectic time. Plus, this is a great opportunity to spend more time with them. When dealing with a stressful move, one can get so eager to complete as many tasks as possible that they usually put their needs and their health last. If you do that, you will only make things worse and you will become less productive. Make sure you put yourself first so that you are able to be productive for optimal results. Take your beauty sleep, eat well and stay hydrated.